Every year, millions of men and women enroll in a U.S. college or university. They dream of earning a degree that will help them secure a good job and support their family. Many of them, however, won’t see that dream come true. Almost half of all students who enroll in an institution of higher learning do not graduate with any credential within six years. Ask institutions, states, and students to share responsibility for producing more graduates without compromising access and affordability. 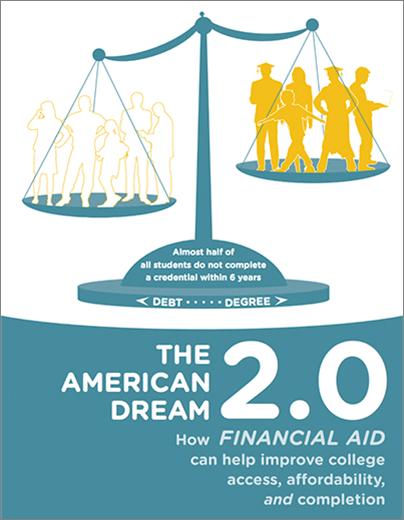 Now is the time to seize that opportunity and marry access with student success in our financial aid programs.